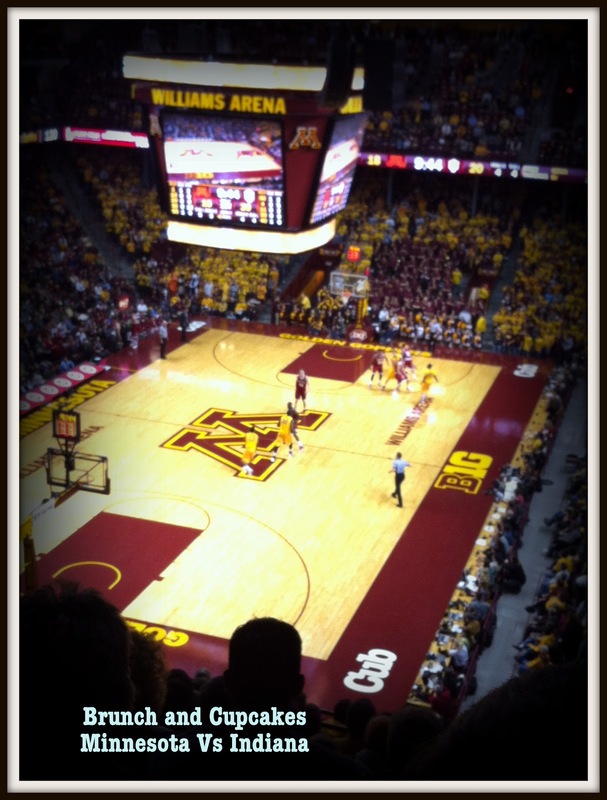 This past Tuesday Derek and I went to the Minnesota Vs. IU Basketball game. 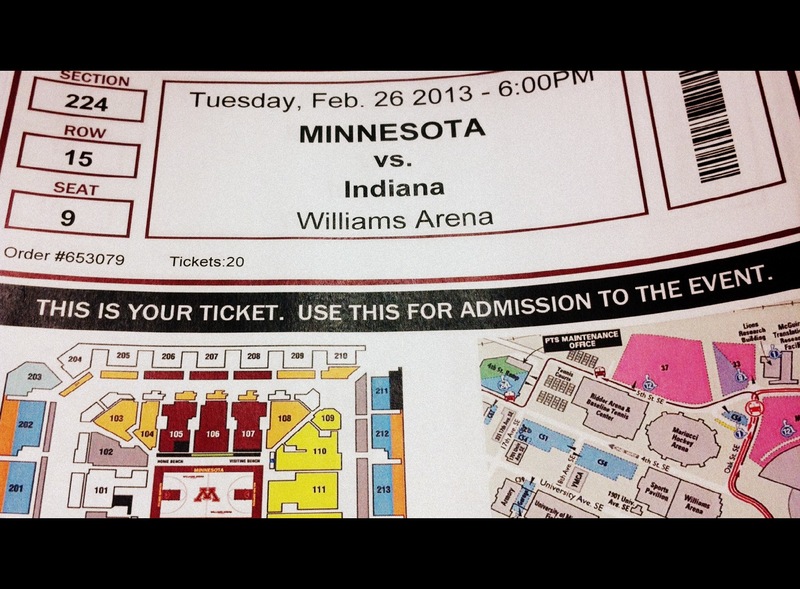 I had gotten the tickets for Derek as a Valentine's Day Present! 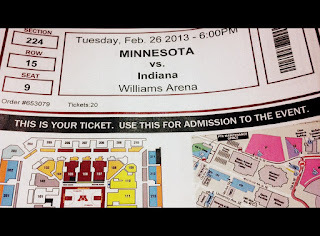 My parents also acame up for the game (my mom had gotten tickets for my dad)! 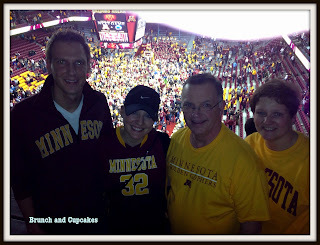 Minnesota is Derek's Alma Mater and let me tell you it was a fabulous game to be at! The excitement at "The Barn" was unbelievable as Minnesota took on Number One ranked Indiana! 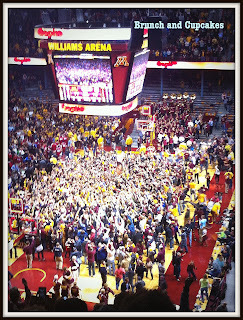 it was a game that ended with Minnesota Fans storming the court! 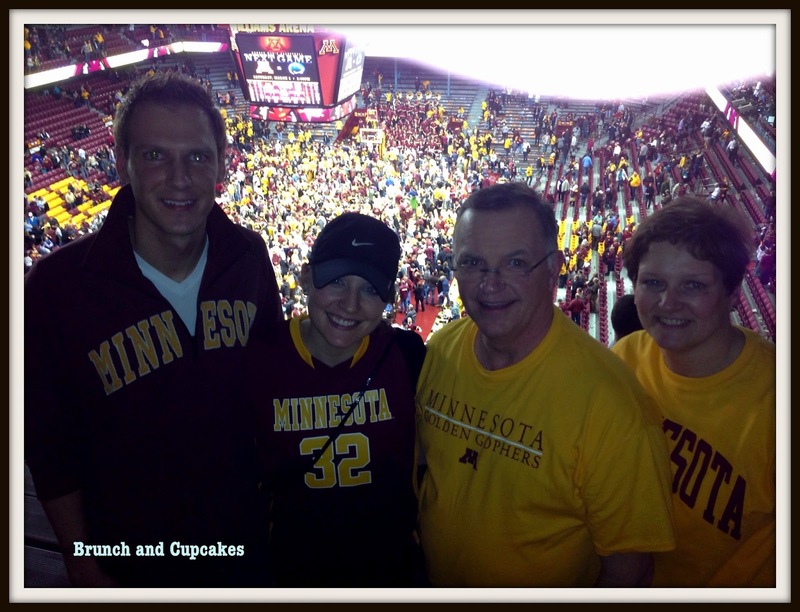 It was an exciting evening and I am glad I got to share the experience with Derek and my parents!